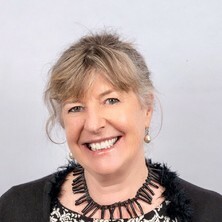 Amanda Lee is Professor Public Health Policy in the School of Public Health within the Faculty of Medicine, and Senior Advisor for The Australian Prevention Partnership Centre at The Sax Institute in Sydney. She has expertise in preventative health, public health nutrition, health policy and systems, food systems and Indigenous health. Her major area of research is the development, implementation and evaluation of public health policy actions to prevent and help manage non-communicable disease (NCD), with a focus on regulatory policy responses targeting obesity, poor diet and food insecurity, in both developed and low- and middle-income countries. Her work takes a strong systems focus, underscored by the three pillars of: health and wellbeing; equity; and environmental sustainability. Amanda’s leadership skills are exemplified by appointments such as Chair of the National Health and Medical Research Council’s (NHMRC) Dietary Guidelines Working Committee and Infant Feeding Guidelines Sub-Committee, and current roles including Chair of Food Standards Australia and New Zealand’s Consumer and Public Health Dialogue, member of NHMRC Nutrient Reference Values Steering Group Advisory Committee, and member of the Australian Academy of Science's Nutrition Committee. She has worked in government, not-for profit, Aboriginal community-controlled and academic sectors. With the people of Minjilang, she demonstrated using objective measures, that rapid and sustained improvements in diet, nutrition and health are possible. Among recent projects in Australia Amanda led scoping of a new National Nutrition Policy; finalised the national Healthy Weight Website; conducted a rapid review of portion sizes for the Healthy Food Partnership and a review of Discretionary Foods for the NHMRC, consults to several Indigenous health organisations and is assessing evidence to help prioritize jurisdictional obesity and nutrition policy actions. She developed the Healthy Diets ASAP (Australian Standardised Affordability and Pricing) methods and, globally, leads the food price and affordability domain of the International Network for Food and Obesity/Non-communicable Diseases Research, Monitoring and Action Support (INFORMAS). She has contributed to three scoping reviews on dietary patterns and health for the World Health Oranization, is expert advisor to Canada, PR China and other countries on dietary guidance, and is a member of the Scientific and Technical Advisory Network of World Obesity, Policy and Prevention. Amanda is currently a Chief Investigator on research programs totaling over $A17.5 Million, including: two Medical Research Future Fund projects as lead CI (Diet and chronic disease prevention: supporting implementation of priority actions in the food and nutrition system, and Improving Aborignal Food Security); the NHMRC Centre of Research Excellence in Food Retail Environments for Health (RE-FRESH); and the NHMRC Partnership Centres for Better Health-The Partnership Centre on Systems Perspectives on Preventing Lifestyle-Related Chronic Health Problems, also known as The Australian Prevention Partnership Centre (TAPPC). Lee, Amanda and O'Dea, Kerin (2015). Aboriginal and Torres Strait Islander nutrition and health. In Sharon Croxford, Catherine Itsiopoulos, Regina Belski, Antonia Thodis, Sue Shepherd, Adrienne Forsyth and Audrey Tierney (Ed. ), Food and nutrition throughout life (pp. 261-275) Melbourne, VIC, Australia: Allen & Unwin. Lee, A. and Ride, K. (2018) Review of programs and services to improve Aboriginal and Torres Strait Islander nutrition and food security. Australian Indigenous HealthInfoNet, 18 4: . Lee, Amanda and Ride, K (2018) Review of nutrition among Aboriginal and Torres Strait Islander people. Australian Indigenous Health Bulletin, 18 1: . Lee, Amanda (2015) Dietary guidelines. Good Practice, 8: 13-13. Are healthy diets in the ACT really more expensive than current, unhealthy diets? Lee, Amanda (2015) Are healthy diets in the ACT really more expensive than current, unhealthy diets?. ACT Population Health Bulletin, 4 3: 18-19. Lee, Amanda (2014) Discretionary choices. Perspectives. Nutrition News and Views, 5-6. Lee, Amanda J., Leonard, Dympna, Moloney, Aletia A. and Minniecon, Deanne L. (2009) Improving Aboriginal and Torres Strait Islander nutrition and health. Medical Journal of Australia, 190 10: 547-548. Stubbs, Christina O. and Amanda Lee (2004) The obesity epidemic: both energy intake and physical activity contribute. Medical Journal of Australia, 181 9: 489-491. Homocysteine concentrations lowered following dietary intervention in an Aboriginal community. Rowley, K. G., Lee, A. J., Yarmirr, D. and O'Dea, K. (2003) Homocysteine concentrations lowered following dietary intervention in an Aboriginal community.. Asia Pacific Journal of Clinical Nutrition, 12 1: 92-95. McDermott, Robyn, Rowley, Kevin G., Lee, Amanda J., Knight, Sabina and O'Dea, Kerin (2000) Increase in prevalence of obesity and diabetes and decrease in plasma cholesterol in a central Australian Aboriginal community. Medical Journal of Australia, 172 10: 480-484. McDermott, R, Rowley, K, Amanda Lee, Knight, S and O'Dea, K (2000) Increase in prevalence of obesity and diabetes and decrease in plasma cholesterol in a central Australian Aboriginal community. Medical Journal of Australia, 175 480-484. Lee, A. (1996) The transition of Australian aboriginal diet and nutritional health. World review of nutrition and dietetics, 79 1-52. Lee, A. J., Bonson, A. P V, Yarmirr, D., O'Dea, K. and Mathews, J. D. (1995) Sustainability of a successful health and nutrition program in a remote Aboriginal community. Medical Journal of Australia, 162 12: 632-635. Lee, Amanda (1993) Aboriginal dietary intake and a successful nutrition intervention project in a Northern Territory community. Australian Journal of Nutrition & Dietetics, 50 77-81.